Born: 1884, East Dereham, Norfolk. Died: 25th October 1917; age 33; KiA. 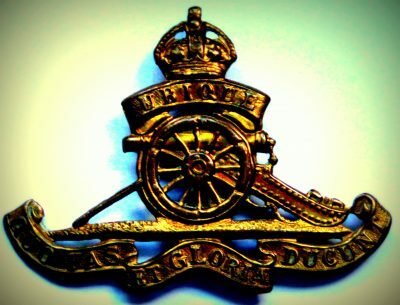 Regiment: Royal Field Artillery, ‘C’ Battery, 76th Army Brigade. 1891 9, Nursery Buildings, East Dereham, Norfolk. Isaac was 6 years old and living with his parents & siblings. Robert Skipper, 41, a Bricklayer, born Shipdham, Norfolk. Ann mary Skipper (nee Patrick), 36, born North Creake, Norfolk. Gertrude Clara Skipper, 11, born East Dereham, Norfolk. Alice Alma Skipper, 8, born East Dereham. Fanny Louisa Skipper, 4, born East Dereham. May Skipper, 1, born East Dereham. 1901 9, Nursery Buildings, East Dereham, Norfolk. Isaac was 16 years old, a Carpenter’s Apprentice. He was living with his parents & siblings. Robert, 51, a Bricklayer & Carpenter. Fanny, 14, a Mother’s Help. Walter David Skipper, 10, born East Dereham. Agnes Sibyl Skipper, 7, born East Dereham. Sidney Harold Skipper, 5, born East Dereham. Charlie Skipper, 1, born East Dereham – died 1908, East Dereham. In 1916, Ipswich, Isaac married, Esther Eliza Godbold, born November 1883, Stowmarket, Suffolk.